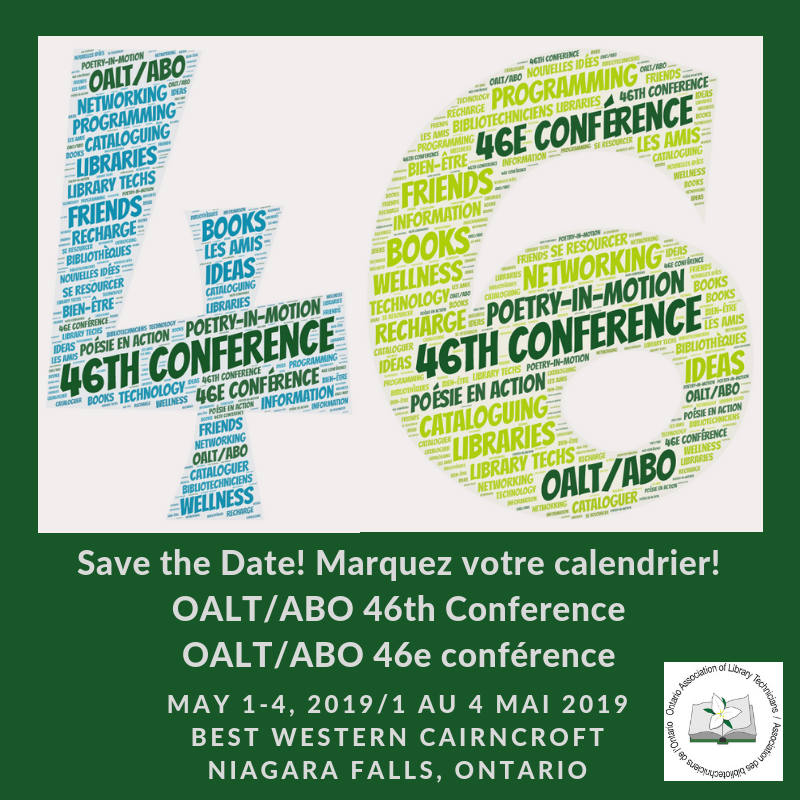 OALT/ABO would like to invite everyone to attend our 46th annual conference Poetry in Motion/Poésie en action in Niagara Falls, Ontario from May 1-4 2019. The Best Western Cairncroft on Lundys Lane will be our venue for the conference. We are excited to offer this conference to our members and non-members. Fun activities are planned as well as interesting workshops. The Niagara Public Library are also hosting us for a day and offering Maker Space workshops throughout the day. There is also some exciting entertainment.